I’ve been digging the green and purple shades together. 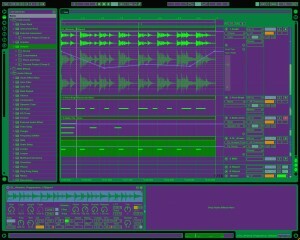 Download my Psytrance Skin for Ableton, and psypimp your musical workflow. It’s easy to install and enable in the preferences. Right click (or ctrl+click) on the Ableton Live app and choose Show Package Contents.